Denise DeLuca is the Director of MCAD’s Sustainable Design program. She was co-founder of BCI: Biomimicry Creative for Innovation, a network of creative professional change agents driving ecological thinking for radical transformation. Denise is author of the book Re-Aligning with Nature: Ecological Thinking for Radical Transformation, which was illustrated by MASD alum Stephanie Koehler. She also teaches with the Amani Institute. 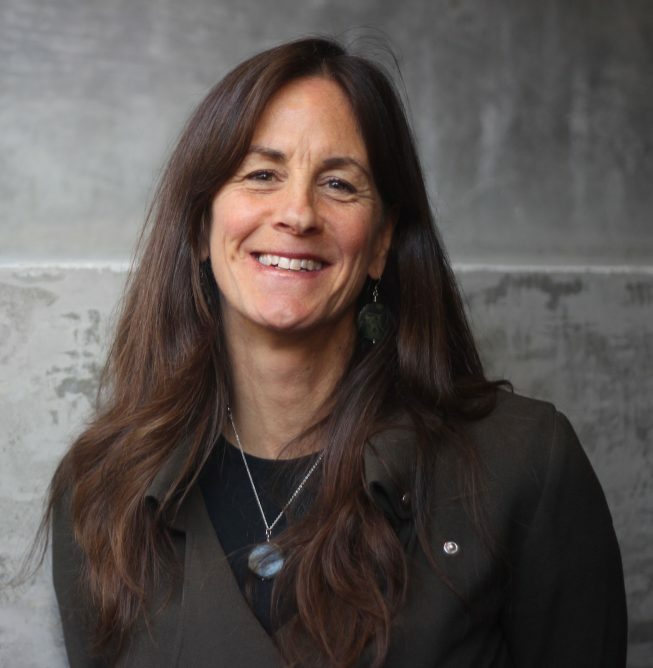 Denise’s previous roles include Education Director for the International Living Future Institute, Project Manager for Swedish Biomimetics 3000, and Outreach Director for The Biomimicry Institute. Denise is a licensed civil engineer (PE) and holds a master’s degree in civil and environmental engineering with a focus on modeling landscape-scale surface and ground water interactions. In addition, Denise is a Biomimicry Fellow of The Biomimicry Institute, on the editorial board of the Journal of Bionic Engineering, and a Researcher with Katerva. Denise is based in Montana.